According to Global Workplace Analytics, over half of the U.S. workforce now holds a position that can be worked remotely at least part-time. However, this cannot be done efficiently without video conferencing which makes it possible to connect both internally and externally with business contacts in a more meaningful way. 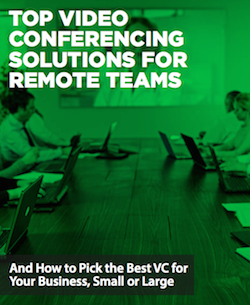 Make sure to download and read our latest guide on the Top Video Conferencing Solutions for Remote Teams.